This day was a transit day moving from one hotel to another so I spent time packing up and map checking in the morning over a traditional Irish breakfast in The Hylands Burren Hotel. I realized I had not taken any shots in the town other than with my iPhone the first night I made a walk around the harbor. I had seen a sign marker in town at the crossroads and I really wanted that shot. 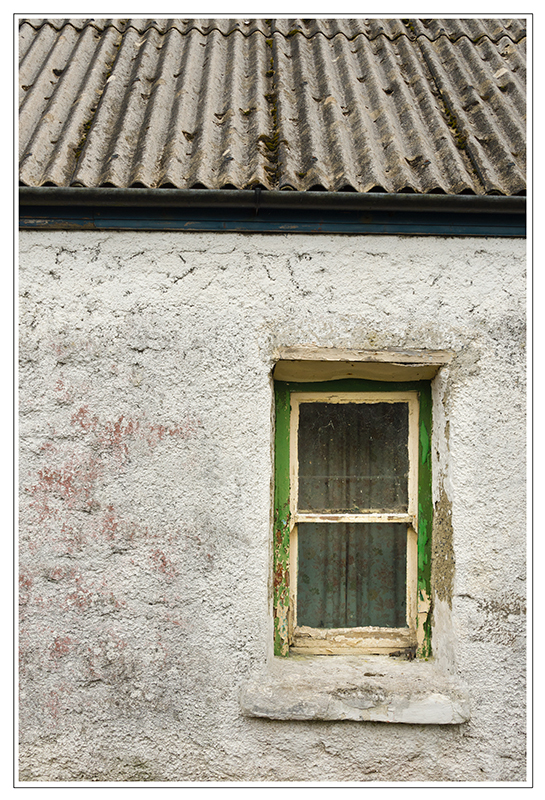 After loading my gear in the car and checking out I grabbed my camera and went for a walk in Ballyvaughan. 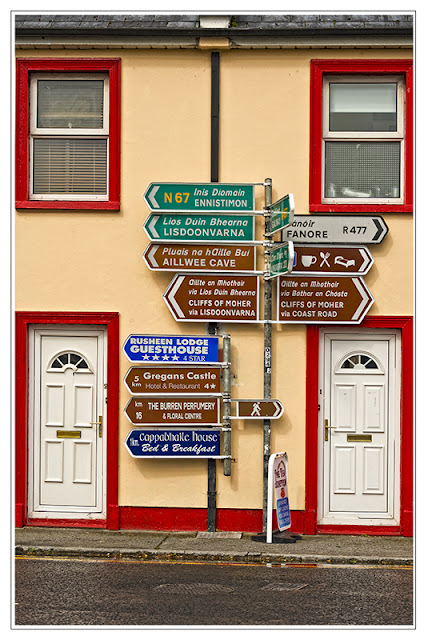 I just loved the road signs in Ireland!!! While you had to stop, to really read them, they never left anything out! 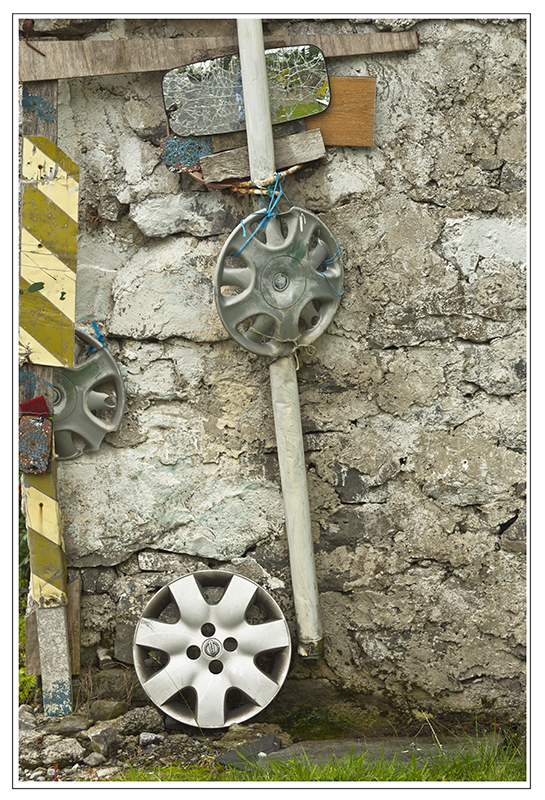 The shot below was a scene I came upon walking down a side alley. It made me smile! The Irish have a sense of road humor....and as I was getting on the road today it was a good reminder to be careful and pay attention. I found it difficult to be a photo scout looking for shots as well as being a driver, so I had to work on those skills too! Thankfully my mirrors never looked like this, and quite by accident I found that the side mirrors on the car had an auto-collapse button for parking or close passing! I loved the textures on this house with its window jam in need of paint, the stucco and ridged roof. 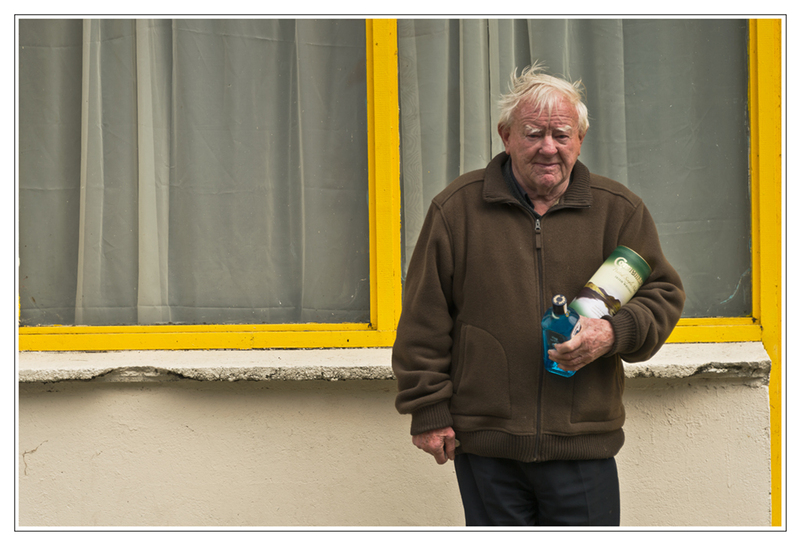 By 10:00am I was back on main street and found this man coming out of the liquor store with his Connemara Whiskey. I chatted with him for a few minutes and he invited me to join him for a drink! I told him it didn't go well with driving but thanked him anyway! I did ask him if I could take his picture and he obliged! 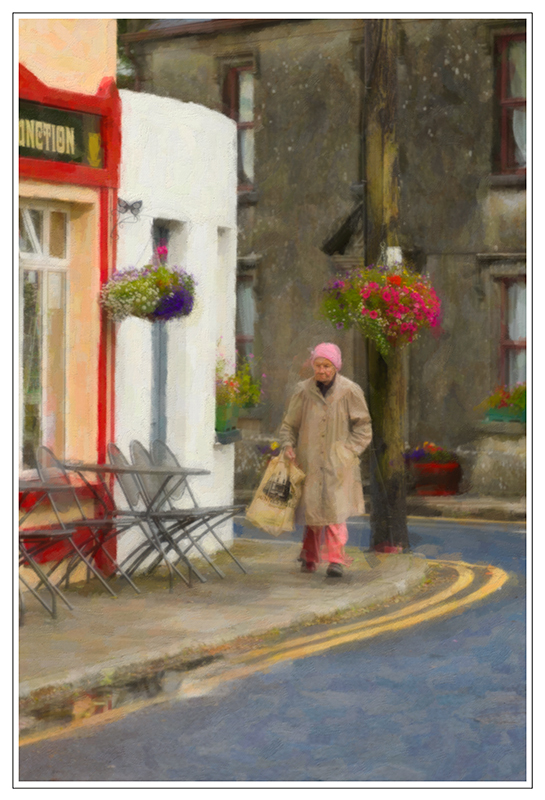 Then turned and entered his place across the street from the liquor store. So jealous of your tour. Thanks for posting these images. Thank you Lea, so glad you are enjoying my shots and travels! I adore this shot and the processing.